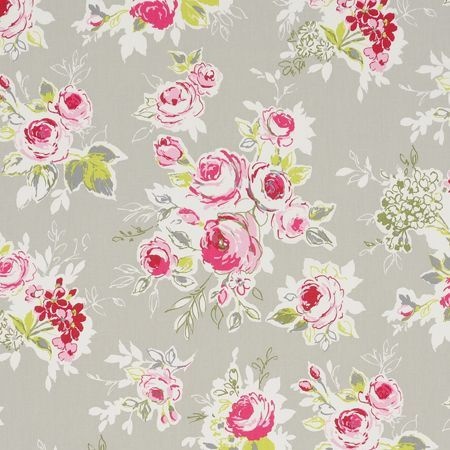 A modern, country style floral of pink roses on a grey background. PVC coated cotton. Comes in two finishes Matt or Gloss.